Following the loss of game two the Cavaliers failed to defend the land against the Warriors, losing 118-113 and remain winless in the series now at 3-0. The Cavs struggled to keep up with the Warriors in the first half, but by the third quarter they seemed to have found their rhythm. Cleveland managed to commandeer the lead in third and stole Gold State’s momentum, thanks to Kryie Irving’s relentless performance. Irving finished with 38 points, trailing Lebron who led with 39 points. At the end of the third the Cavs led 89-94, and seemed to be in control. However, the Warriors proved they were not going down without a fight. Cleveland struggled in the fourth to keep a lead and with 45 seconds left in the game Kevin Durant made a 3-pointer that gave the Warriors their lead back at 114-113. 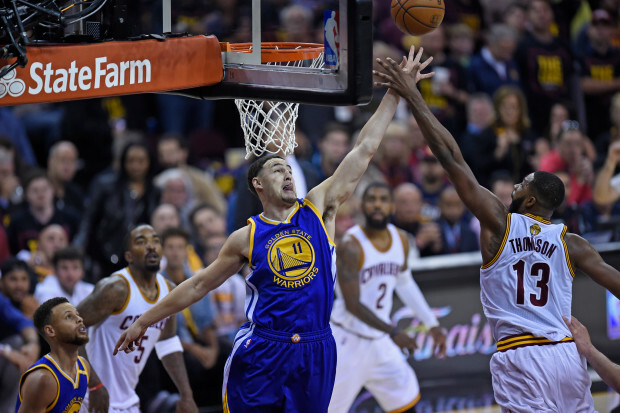 The Cavaliers were not able to recover in the final seconds and sealed their fate when fouling Durant and Curry. Durant finished with 31 points and Curry with 26. Now with their backs against the wall the Cavaliers must win game four to stay alive in the series and avoid a sweep in the finals.